In his recently released book, A Dog’s View of Love, Life, and Death, Jon Beecher, (below) who uses the pen name J. R. Archer, has Rosie, an orphaned mongrel, telepathically explain to Seamus McGarry, a dying quadriplegic, that he has nothing to worry about, that death is just consciousness separating from the body. When Seamus telepathically asks Rosie how she, being just a dog, can know so much, Rosie tells him that she comes from a higher vibration and that her primary purpose is to provide service. While Seamus struggles with just existing and dying, millionaire William Roper’s struggle is in becoming “one with his toys.” That is, until a homeless man and a mongrel named Rags comes into his life. Dolores Fannon, a recovering alcoholic, copes with everyday trials and tribulations, while Milo McGarry, having been sober for more than 20 years, is struggling to keep the dog shelter he works at from closure. The shelter, being the venue that brings dogs together, also provides the opportunity for the dogs to help unwitting humans in need. Seemingly common to the various characters in Beecher’s book is an existential vacuum, a feeling of emptiness, meaninglessness, and hopelessness that pervades so many immersed in the mundane and slaves to materialism. At some point in the pursuit of comfort, pleasure, and luxury, they lose sight of the “larger life.” They lose their instincts, intuitiveness and spiritual awareness. However, our canine friends, not being consumed with such materialistic pursuits, have been able to retain these qualities. Michelle told him that after receiving some evidential communication from her grandfather, someone named Brian came through, saying he had a message for Jon. While Michelle had never heard of Brian, she thought the Jon being referred to might be her husband, Johnny, and so she took the information. When she got home and started relating the message to Johnny, he interrupted her and said he didn’t think the message was for him. However, he recalled that his friend Nicky had a brother called Jon and that he had a friend named Brian who had died in his house. In 2003, a little over two years after the accident, Beecher decided to find a medium. He went to the Arthur Findlay College website and saw a listing for one not far from where he lived. He recalls her name as Brenda. “On the day of the sitting I wasn’t hoping any particular person would come through, I was just curious to see what would happen,” he relates. “We sat for a few minutes and she told me my father was there, and my uncle on my mother’s side. She said my father’s energy was strong and suggested we should concentrate on him. Two of the mediums he visited told him that they saw him publishing books about spirituality and life after death, which he had never considered at the time, and one day he woke up with the name “White Crow Books” in his head and went from there. A Dog’s View of Love, Life, and Death by J. R. Archer is available now from Amazon and other booksellers.. 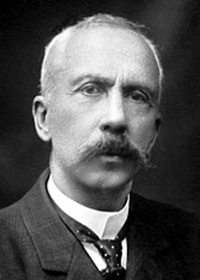 Winner of the 1913 Nobel Prize in Medicine, Dr. Charles Richet (1850-1935) was a physiologist, chemist, bacteriologist, pathologist, psychologist, aviation pioneer, poet, novelist, editor, author, and psychical researcher. After receiving his Doctor of Medicine degree in 1869 and his Doctor of Science in 1878, he (below) served as professor of physiology at the medical school of the University of Paris for 38 years. Richet was awarded the Nobel Prize for his research on anaphylaxis, the sensitivity of the body to alien protein substance. He also contributed much to research on the nervous system, anesthesia, serum therapy, and neuro-muscular stimuli. He served as editor of the Revue Scientifique for 24 years and contributed to many other scientific publications. After attending experiments in Milan with medium Eusapia Palladino (below) in 1884, Richet began taking an active interest in psychical research. In addition to Palladino, he studied Marthe Bèraud, William Eglinton, Stephan Ossowiecki, Elisabeth D’Esperance, and others. 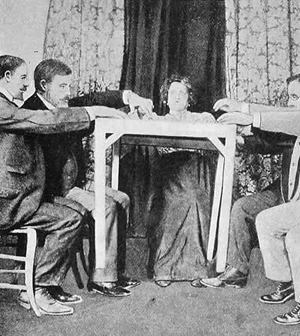 He served as president of the Society for Psychical Research of London in 1905. While clearly accepting the reality of mediumship and other psychic phenomena, Richet remained skeptical as to whether the evidence suggested spirits of the dead. “I oppose it (spirit hypothesis) half-heartedly, for I am quite unable to bring forward any wholly satisfactory counter-theory,” he wrote, no doubt concerned about sanctions by his peers. Publicly, he leaned toward a physiological explanation, but privately, at least in his later years, he seems to have accepted the spirit hypothesis as the best explanation. This “interview” is based primarily on Richet’s 1923 book, Thirty Years of Psychical Research. Except for word in brackets, inserted to provide a transition or flow, the words are his. The questions have been tailored to fit the answers. 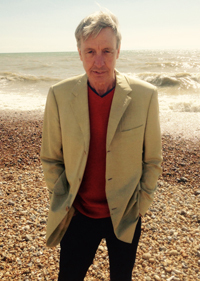 (For more about Richet and physical mediumship, see Keith Parson’s recently released documentary, Can Spirits Materialise? Professor Richet, your book is dedicated to Sir William Crookes and Frederic W. H. Myers. I gather, however, that when Sir William was reporting on his research with mediums D. D. Home and Florence Cook back during the early 1870s, you did not have a particularly high opinion of him. I would like to focus this interview more on the physical phenomena you observed. Who were the best among these objective or physical mediums? With the possible exception of Home and Moses, all of those you just mentioned were accused of fraud at one time or another. Conscious as opposed to unconscious fraud? Many of the materializations that have been photographed look like cardboard cutouts or mannequins. One can understand why people are so skeptical. You are no doubt referring to the phantom known as Bien Boa who materialized thought Marthe Béraud at the Villa Carmen. I gather that there is no doubt in your mind that he or it was real. Of course, it is difficult to understand why a fraudulent medium would think she or he could dupe anyone with something that doesn’t even resemble a human form. You actually saw Bien Boa sink into the floor? Still, the skeptics say it was all a trick. I recall reading that there was much “cheating that really wasn’t cheating” going on when you studied Eusapia at Ribaud Island. Is this reference to the unconscious acts of the medium? But, clearly there has been much conscious fraud? Your reports talk about ectoplasmic arms extending from Eusapia and touching sitters or moving objects. What exactly is ectoplasm? The skeptics would say that it nothing but cheesecloth stuffed into some cavity of the medium and then exuded at an opportune time. I’m confused on something here. 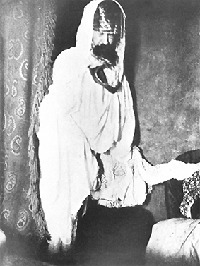 Is ectoplasm always visible? History has not been particularly kind to Eusapia and others you mentioned earlier, treating them as either charlatans or as a mixed mediums (producing both genuine phenomena and fraudulent phenomena). In spite of your standing in the scientific community, mainstream science doesn’t seem to accept the research on ectoplasm and materialization. You’ve often used the word “absurd” when referring to the materialization phenomenon.